New York City is so big, it’s easy to feel overwhelmed. Where should I go? What should I do? It’s easy to fall back on something that worked in the past, but were is the fun in that? As I wrote previously, there are a few great tourist guides to follow. But, what about something a little more structured? 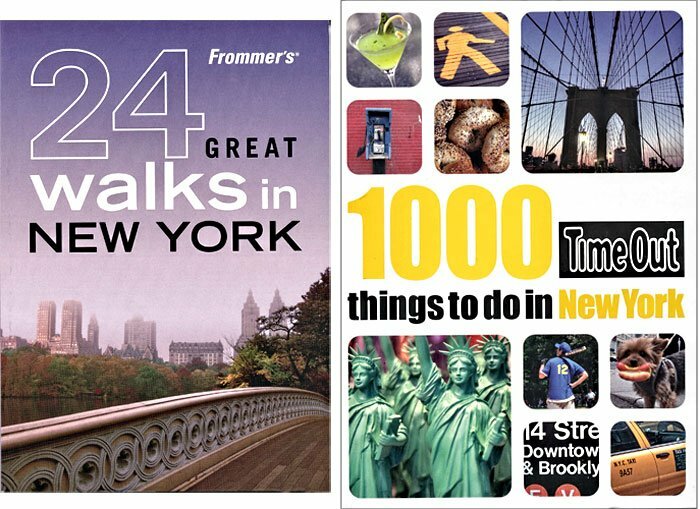 There are several guided walk book for New York City. However, most of them rely heavily on text with no supporting photos. Sure you could Google it, but then you could just Google NYC walks. 24 Great Walks in New York is the perfect blend of a structure walk with historical/interesting notes and photos. The walks are spread out all over Manhattan from Battery Park to Harlem. Each walk starts and stops near a subway which makes them convenient and are limited distances which can be covered in a few hours. Some walks can even be linked together to form great day trips. Each walk even includes recommended places to eat. Maybe, you are looking for something a little more random? Today is a beautiful day in New York City. Try something new! ← Previous Previous post: Editorial – Beware of Bottom-Feeders in Your Job Hunt!